San Francisco International Airport (SFO) has opened an outdoor terrace and observation deck, located post-security at the end of the International Terminal, Boarding Area G.
The open-air space affords 180° views of the airfield, including some of the largest aircraft serving SFO such as the Boeing 747 and Airbus A380 aircraft. The 2,997ft² (279m²) outdoor terrace is furnished with wooden chairs, tables and chaise longues. 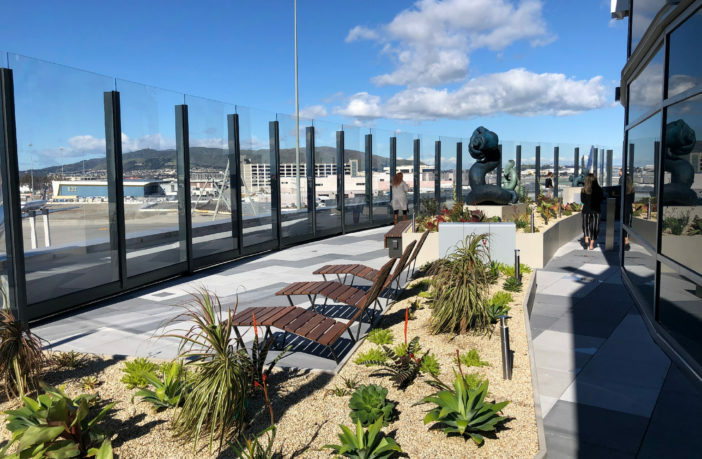 The deck also features three bronze sculptures by local artist Woody Othello and 10ft bird-safe glass panels provide wind protection and open views of the skies. The terrace will be opened from 7am to 11.30pm every day, and is also accessible to passengers in Terminal 3 via a connecting walkway. Food and beverages may be brought out to the terrace, but smoking is not permitted at any time. 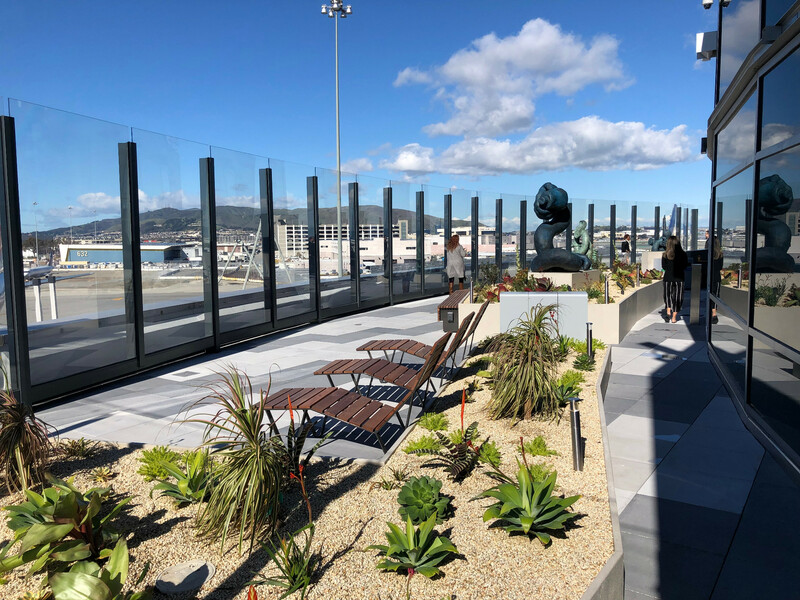 Ivar C Satero, airport director at SFO, said, “Our goal is to create an airport experience second to none, and we’re excited to introduce the first post-security observation deck at SFO. The project was part of a US$55m upgrade to the airport’s International Terminal facilities. Enhancements include new recompose areas immediately after the security checkpoints, offering passengers a space to re-assemble their items before continuing down the concourse. New seating areas and tables, complete with power outlets, provide a space to dine on locally sourced food and beverage concepts. The project to upgrade the International Terminal involved a design-build team made up of Webcor and a joint venture between Woods Bagot and TSAO Design Group, while the construction management was provided by a joint venture of The Allen Group and Avila & Associates. Looking for ways to make the airport experience more interesting and pleasant for travelers? Check out the ‘Customer Service & Passenger Experience’ and ‘Airport Design, Planning & Development‘ streams at the Passenger Terminal Conference, which takes place during Passenger Terminal Expo, on March 26, 27 and 28, 2019, in London.